Kyle is home to many historic sites. Read below for more information or stop by the Visitor's Center for a walking map of the historic Kyle locations. One of America's most distinguished writers, Katherine Anne Porter, lived in this house on Center Street from 1892-1901. Porter was born on May 15, 1890 in Indian Creek, Texas. When she was two years old, her mother, Mary Alice Jones Porter, passed away. 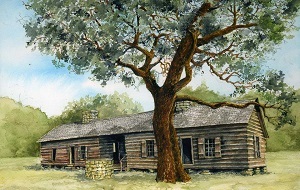 Her father, Harrison Boone Porter, moved the family to Kyle to live with his mother, Catherine Ann Skaggs Porter. Katherine lived in Kyle until 1901, when her grandmother passed away. In 1906, at the age of sixteen, she married John Henry Koontz. The marriage ended soon after. She left Texas in 1915, moving to Chicago to start a career as a journalist and writer. Her first short story 'María Concepcíon' was published in 1922. Her first book of short stories 'Flowering Judas and Other Stories' was published in 1930. Her 1962 novel 'Ship of Fools,' made her a millionaire. She won a Pulitzer Prize and the National Book Award for 'The Collected Stories of Katherine Anne Porter' in 1965. In all, she published five major collections of short stories in her lifetime. 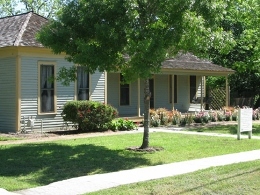 Porter returned to Texas to visit her former homes in her later years. Upon her death in 1980, her ashes were interred next to her mother's grave in the Indian Creek Cemetery. The Katherine Anne Porter House was designated as a National Literary Landmark on June 13, 2002 by the Friends of Libraries USA and the Library of Congress. First Lady Laura Bush was on hand at the dedication. Visiting writers’ events scheduled for fall 2014 and spring 2015 are listed on the website below. Katherine Anne Porter Literary Center readings are sponsored by Texas State University’s Department of English, the Lindsey Literary Series, the Burdine Johnson Foundation, and the Katherine Anne Porter Literary Center. How did a Mississippi Senator end up in Texas? It's a tale of embezzlement and betrayal by an old friend. When Mississippi State Treasurer, Robert Graves, disappeared after being accused of embezzlement, Kyle was left as the co-signer on Graves' bond. The forfeit on the bond proved to be financially disastrous-- it left Kyle no choice but to sell off all of his property and flee Mississippi for a new life in Texas. The log house is home to events like 'Blooms Over the Blanco' and 'The Annual Chicken Friend Dinner' which help fundraise the upkeep for the site. Between 1870 and 1880, the International and Great Northern Railroad planned to construct a line between Austin and San Antonio. When the planners found that no towns lay on the route between San Marcos and Austin, they decided to establish a station town along the route. 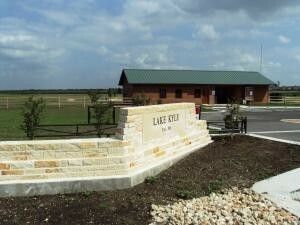 Several offers of land in northern Hays County were received, but the offer by the families of Captain Fergus Kyle and D. R. Moore were accepted. All of the land, except a depot site and track right-of-way, was then deeded to the Texas Land Company for development as a town. In less than a week, the town was surveyed and a plat recorded with the county clerk. Streets and alleys were deeded to the town, officially designated as Kyle, Texas, in honor of one of the men who donated the land. Captain Kyle was a native of Mississippi and had served as a captain with Terry's Rangers in the Civil War. In the shade of this mammoth live oak, all of the business lots and most of Kyle's residential lots were sold at auction. As an added inducement, the railroad offered free train rides to participants in the sale. 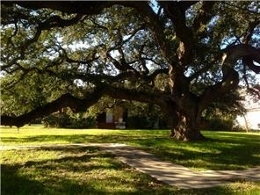 The land on which this historic tree stands was donated by the railroad in June 1881 for the construction of the town's first school, Kyle Seminary. program to improve rural delivery of mail on the Austin-San Antonio road. 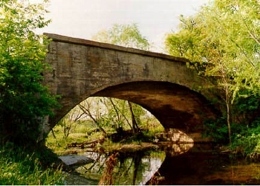 The small concrete arch bridge has the distinction of being the oldest concrete bridge in Hays County, and one of only a few surviving bridges left on the old Austin-San Antonio Post Road. an elliptical shape with a line of coping running across the top of the parapet railing. in the state, serving as a model for highway construction programs and the establishment of the Texas State Highway Commission in 1917. 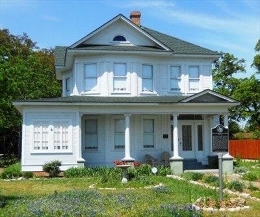 It is listed in the National Register of Historic Places. The construction of Kyle City Hall represented a significant achievement for the small rural town and reflected the optimism of its citizens that the town would continue to grow and prosper in the early 20th century. 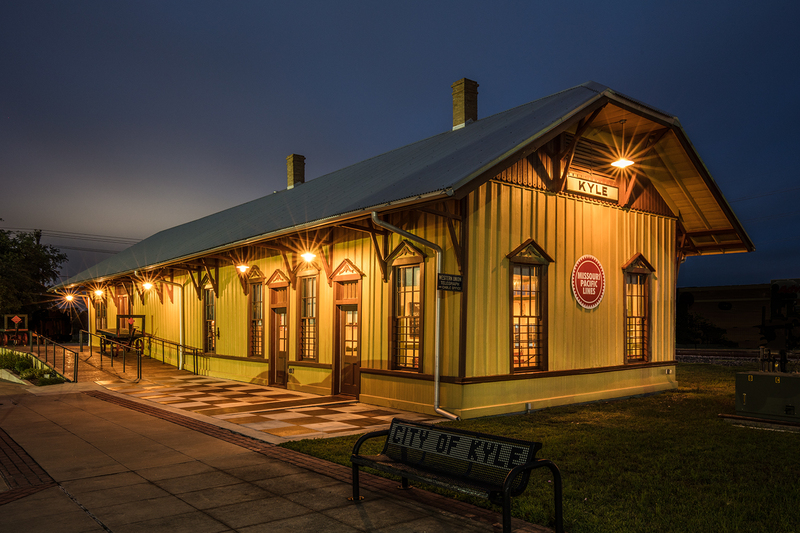 Bolstered by a booming cotton economy at the turn of the century, Kyle's progressive citizens looked forward to the town's cultural development by providing a venue for social and civic events, including plays and lectures. The building's size, scale and fashionable design expressed the community's ambitions for the future. The commission of an architect to design the building emphasized Kyle's commitment to the undertaking. The result was a building that fulfilled its role as the town's social and civic focal point. The block (known as City Square Park) was identified specifically as a public square in the original 1880 town plat, the site hosted traveling shows, musicals and chautauquas (scholarly lectures). Parades passed around the public square before and after the City Hall was built. In addition to civic and governmental duties, the hall has served a variety of community purposes and, until 1937, doubled as the high school auditorium. When the Baptist church burned in 1940, its congregation was granted use of the hall for Sunday services. Later, when the Methodist church needed a sanctuary, the two churches held services in the City Hall on a rotating basis. 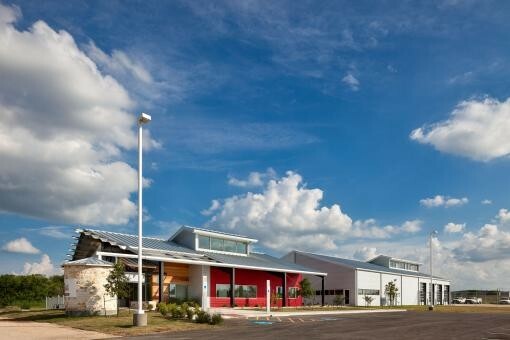 It also served the City of Kyle as a senior social center and a community meeting place. Currently, it is under renovation. It is listed in the National Register of Historic Places. Located at 400 W. Center St. Founded in 1872 as the Mountain City Baptist Church, the original pastor was the Rev. J. C. Tally. Within two months of its origin, the church licensed, and later ordained, D. A. Porter as a minister. 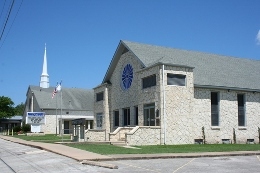 The church moved to Kyle in 1881 and changed its name to the First Baptist Church. In 1940, the building was destroyed by a fire and the members of the church held services inside the Kyle City Hall. A new building, organ and furnishings were dedicated free of debt on June 6, 1948.
of the Baptist congregation was dedicated. The present sanctuary was erected in 1985. 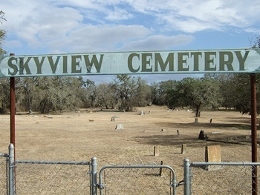 Thought to be Hays County's oldest all-inclusive community cemetery still in use, the Kyle Cemetery is located on Old Stagecoach Road just outside of Kyle. While there are a couple of family cemeteries in the county established earlier, the Kyle Cemetery is the oldest community cemetery. 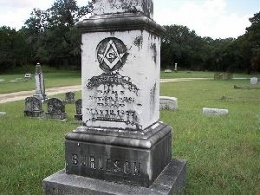 Major Edward Burleson – Veteran of the Mexican War and probably one of the most prominent men in the history of this area. Fergus Kyle – Colonel Claiborne Kyle's son and the person for whom the town of Kyle was named. 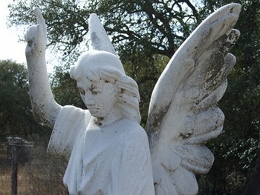 Within the cemetery, there are over 170 marked graves with stones, funeral home markers, or wooden crosses. Uninscribed limestone rocks and bricks mark several of the graves. Additionally, there are several sunken areas indicating burials. These also have no identification as to who is buried there or when the burial took place. The oldest marked grave is that of Mary Kirby (1895), followed by Hattie Washington and Annie Hamilton (1899). It is likely that burials occurred between these dates, but the graves are no longer marked. The San Vicente Cemetery has over 220 graves with inscriptions as well as many unmarked graves and graves with uninscribed markers. It is located on Old Stagecoach Road just south of the intersection of County Roads 136, 225, and Center Street. 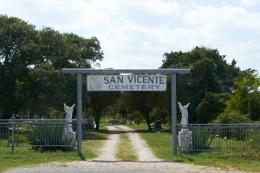 The land for the San Vicente Cemetery was donated in the early 1900s by Vicente Gonzales to insure that early Hispanic citizens of Kyle would have a proper burial. Before Gonzales donated the land, most Hispanics were buried on the property owned by the ranchers who employed them. An initiative was set forth by Blas Mendez to establish this cemetery. He also urged that the cemetery be named after the man who donated the land and offered Hispanic citizens a place of rest and dignity. 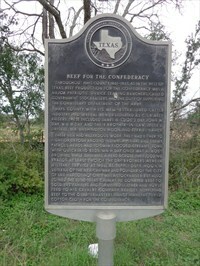 Between 1861 and 1865 in Hays County, as in the rest of Texas, beef production for the Confederacy was a major patriotic service. Leading ranchers, called Government Stock Raisers, had the duty of supplying the Commissary Department of the Army. Hays County, with its well-established cattle industry, had several designated CSA beef raisers. These included James M. ('Doc') Day, John W. Day, Wm. H. Day, Jesse L. Driskill, Wm. Washington Moon and Ezekiel Nance. These men had hazardous work. They had to fight or detour around Indians, rustlers, and enemy patrols. Herds had to swim flooded streams, some with quicksand beds. Wm. H. Day almost drowned once while swimming a herd across the flooding Brazos. At least two of the Day brothers were in military service as well as supply duty. Moon, a veteran of the Mexican War and founder of the city of San Marcos, not only was a stock raiser, but also joined the CSA's 32nd Cavalry. He donated beef to soldiers' families and furnished leather and horse feed to his cavalry company. In addition to supplying beef to the quartermasters, Nance manufactured cotton cloth for the Confederacy. 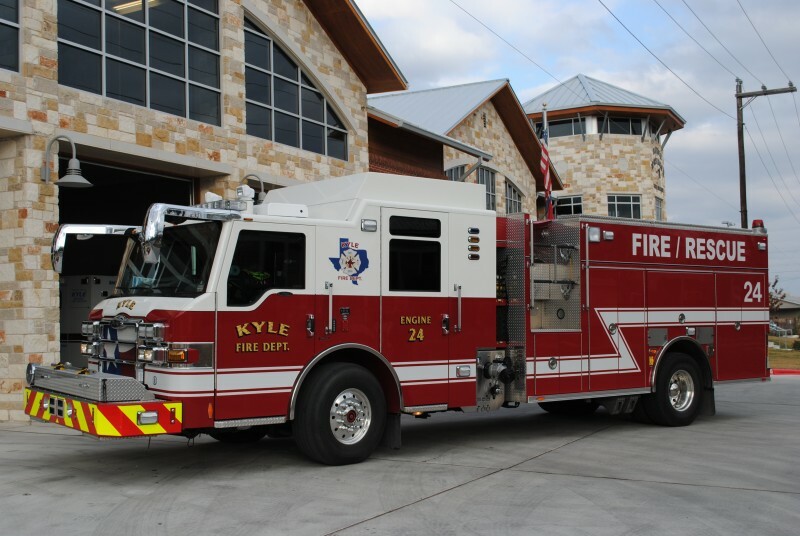 The City of Kyle was founded on land donated by the Kyle and Moore families to the International and Great Northern Railroad for the location of a depot and a new town. 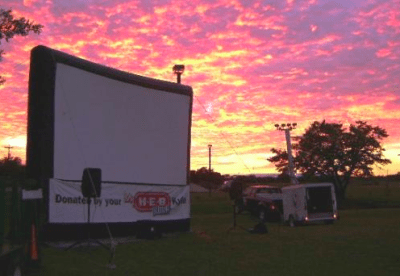 On September 25, 1880, an auction was held to sell lots that would make up the City of Kyle. The railroad provided free rides and lunches to the auctions. The original Kyle Depot was constructed in 1880, but burned on October 10, 1916. This new depot opened on February 11, 1917. Cotton and cattle, the town’s lifeblood, shipped out to markets by rail. Kyle citizens received their goods along with mail, Western Union telegrams, and packages at the depot. Many towns lost sight of their history and either gave away or demolished the links to their railroad past. Charles Nash bought and lovingly restored the Depot on his farm just outside of Kyle in 1967. We owe him a great deal of gratitude for donating the depot back to the city in 2003. 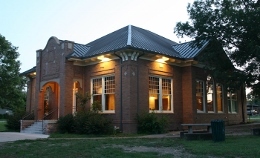 The depot now houses the Kyle Railroad Depot and Heritage Center, operated by the Hays County Historical Commission. It is open each Saturday from 10 to 2. The M.G. 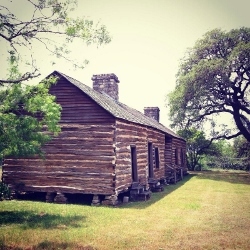 Michaelis Ranch is an excellent example of a surviving historic ranch compound in Hays County. Purchased in 1873 by D.A. Young, the site was later obtained by Fergus Kyle as an investment in hopes that the presence of the newly built International and Great Northern Railroad would increase land prices in the area surrounding his new town. In the spring of 1898, Max Gustav Michaelis purchased a 288-acre tract of land from Fergus Kyle, and founded Michaelis Ranch. It was completely remodeled to its present appearance in 1902, when Michaelis married Anna Louise Huettif in Brenham, Texas, and brought her to his ranch. 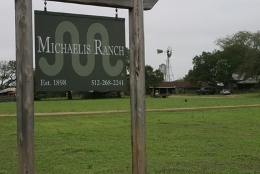 Michaelis raised cattle and ran a small dairy operation in the early years of the ranch. He loved horses, and he bred matched teams for color, size, and action. 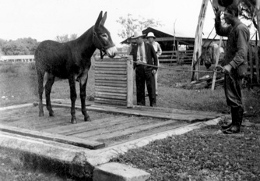 The Michaelis Ranch also supplied mules to the U.S. military and mining companies and exported them to mines in South Africa and coffee plantations in Guatemala. As motorized vehicles became more common in the United States, the demand for mules declined and Michaelis sold most of his mules to South Africa and turned his attention to horses and cattle. At the same time, he maintained several businesses in Kyle. 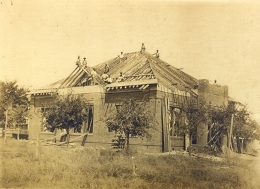 Throughout the 1910s and 1920s, Michaelis improved his stock and property and established a family ranching legacy in Hays County that continues to this day. Many of the remaining historic barns, pens, sheds and infrastructure, including fences and walls, were originally built during this period. The ranch is also currently home to Ranch Road Rentals for your next Hill Country getaway. Cora Frances Jackman (1853-1926) was the daughter of Sidney Drake and Martha (Slavin) Jackman. Her father, a Confederate General during the Civil War and later a State Representative (1874) and U.S. Marshall (1885), settled his family in Hays County in 1865. Cora married Chauncey Barnett Donalson, owner of the 738-acre Live Oak Springs Ranch. He died in 1912. The following year, Cora hired Wallace Brothers Lumber Company of Kyle to build the house from a Radford Architectural Company plan book. Photos of the house were used in advertisements for the lumber company. The two story residence features Queen Anne and Classical Revival detailing in its cross gables, Ionic columns, bay windows, and entry with transom and side lights. No significant changes have been made to this house since the 1930s. 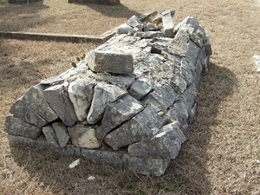 In 1865, Major Ezekiel Edward Nance built a masonry structure of native limestone with walls 18 inches thick to serve both as a school and church. Nance was the owner of a cotton mill and meatpacking facility, which provided coarse cotton and meat to the Confederacy. 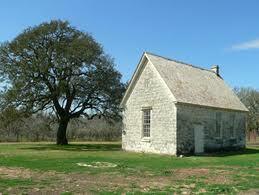 The Blanco Chapel was designated as a recorded Texas Historical Landmark in 1965.